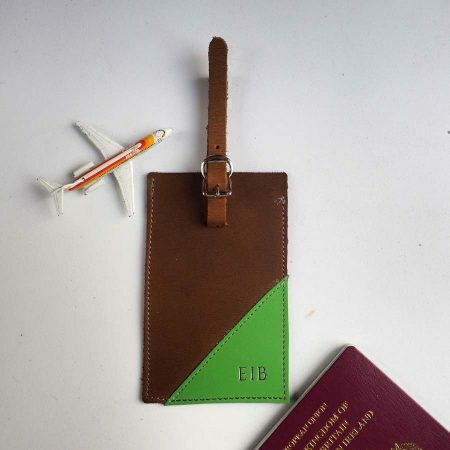 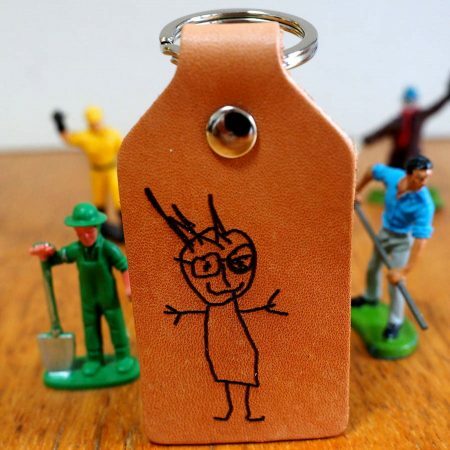 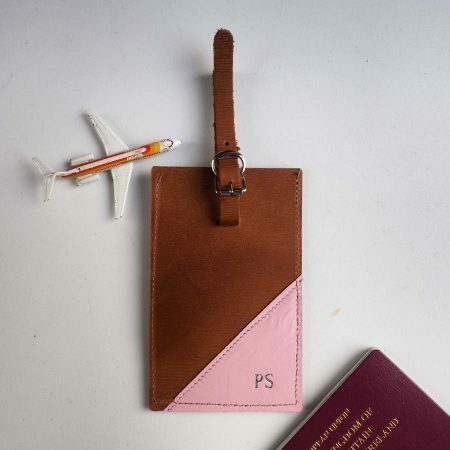 These distinctive luggage tags are an ideal way to spot your luggage on a busy carousel. 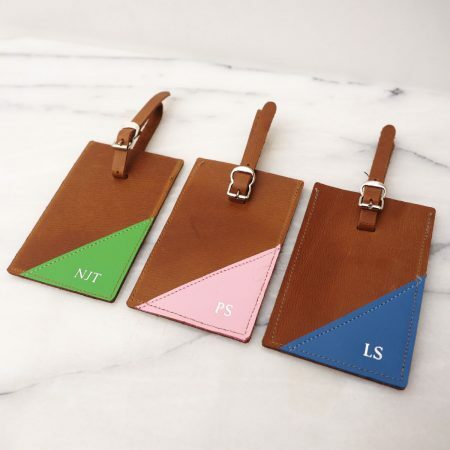 Choose from blue, pink or grass green as the contrast leather colour. 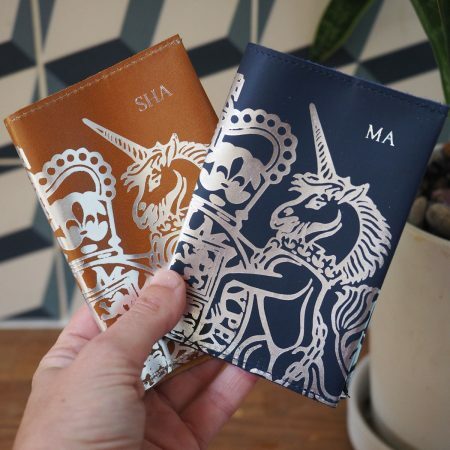 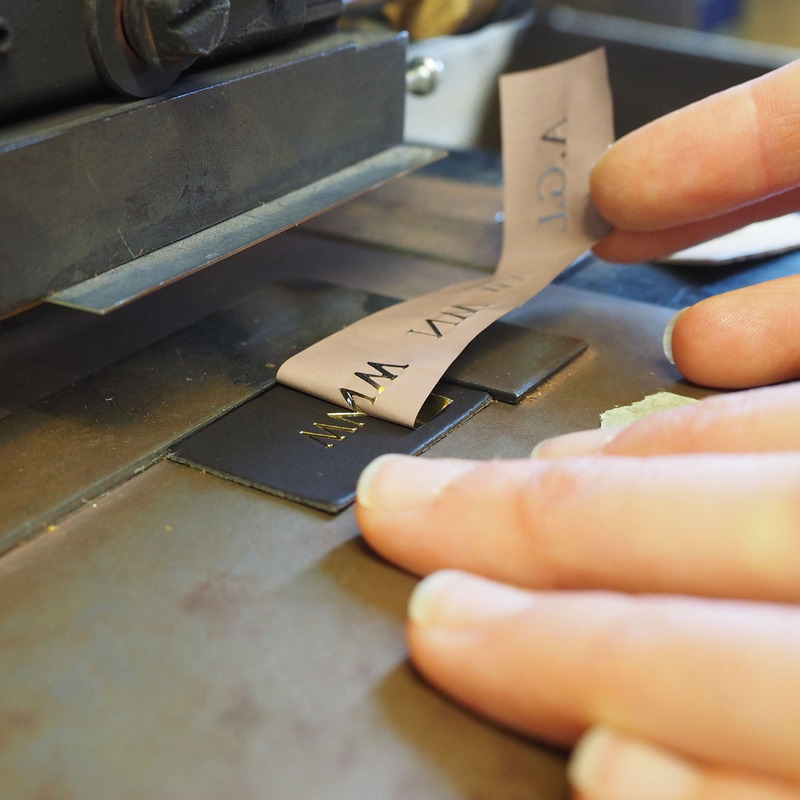 We then add your initials using an old fashioned hot foil embossing process. 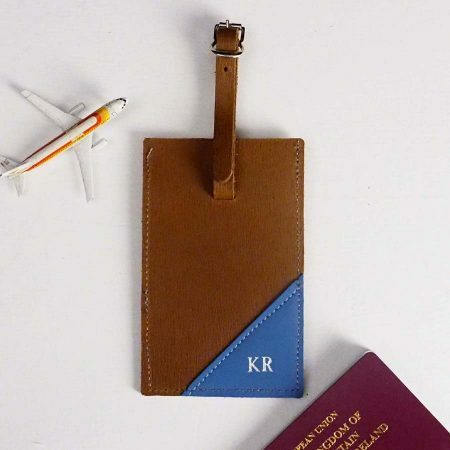 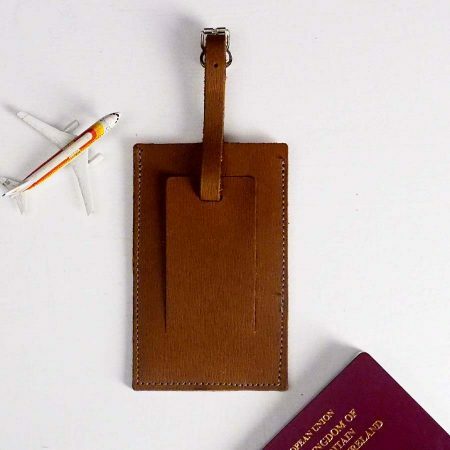 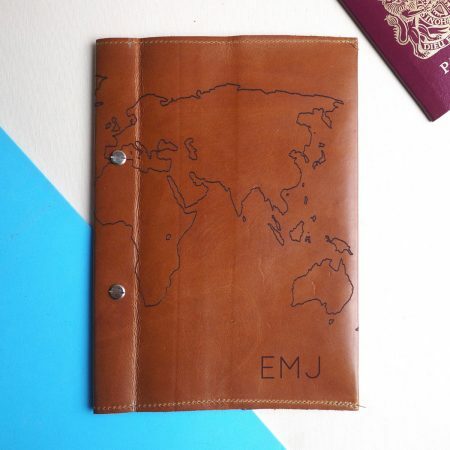 Ideal for a frequent flyer or someone off on a really big trip. Please submit up to 5 initials for your personalisation when ordering. 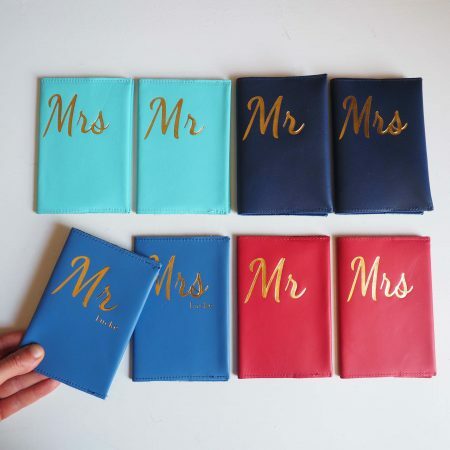 We can send them out in a black gift envelope. 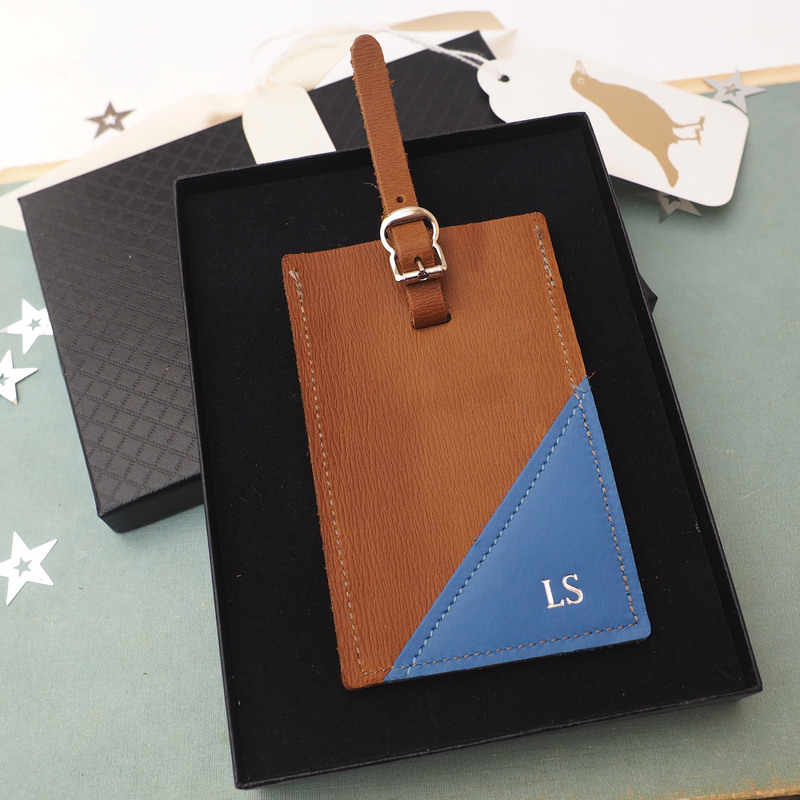 We are happy to write your message on the gift tag please advise us when ordering.